If you like match 3 games, then Candy Crush Saga is a game for you, with over 700 levels of action, lots of fun challenges and special candies waiting for you there is no reason not to try this game. Enjoy comparing your scores with friends, and help each other out too. If you’ve never heard of Candy Crush Saga, then you probably have been living under a rock for all these time! It is like the most popular match-3 puzzle game of the year (Eurogamer’s game of the year 2013)! There are plenty of challenging puzzles in this game that will definitely get those rusty cogs in your mind moving. As you gradually progress through the stages, the game ramps up the challenge even more by adding in icing or other equally annoying blockers that you have to clear and ingredients that you need to collect. Candy Crush Saga is practically what every casual (and even non-casual) gamers, young and old people alike, have been going crazy over for months! Interested to find out more? Do read on! In Candy Crush Saga, you will be helping the main character, an adorable 7-year-old girl named Tiffi, in her quest to explore the world of Candy Crush. In her journey, she will meet with plenty of new exciting characters, such as Unicorn, Juli and Mummy who will require some form of help from her. Tiffi, being the generous soul that she is, will try to find a way to help them with your help of course! She is also aided by Mr Toffee, who is her guide in the world of Candy Crush Saga, and Mr Yeti, who offers game boosters at his Yeti Shop. There are also evil characters in the storyline, such as the Bubblegum Troll, who act like the Grinch in this game he steals other people’s candies and wreaks havoc on Candy Town. After helping out all the characters in Candyland, the tired Tiffi gradually fell asleep. However, it seems that there’s no rest for the virtuous either. Instead of drifting off into her well-deserved rest, Tiffi is brought to the Dreamworld by a violet owl called Odus. Here, in the Dreamworld, Tiffi needs to balance the Moon Scale that Odus is standing on, so that Odus does not fall off. 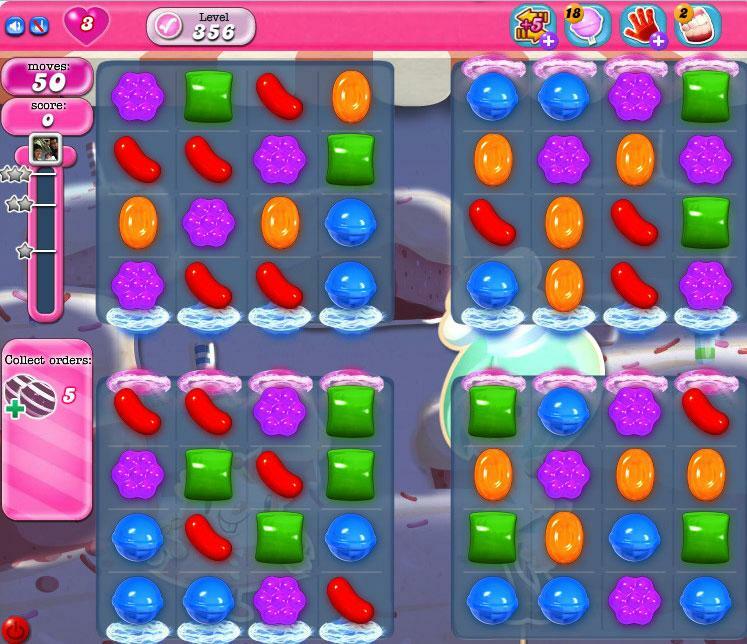 The gameplay is fairly straight forward and simple you just need to match at least 3 candies of the same colour by switching the candies around. With a 4-candy match, you can get a bonus striped candy that can clear an entire row or column of candies while a 5-candy match will reward you with a chocolate ball (with sprinkles!) that can remove all candies with the same colour as the candy that you swap it with. There are also wrapped candies that acts like a bomb in the game which you can get if you can perform a double 3-candy match. These are pretty common in any match-3 games, but soon, you will be introduced to the tougher level types this game has to offer as well as the dreaded blockers. 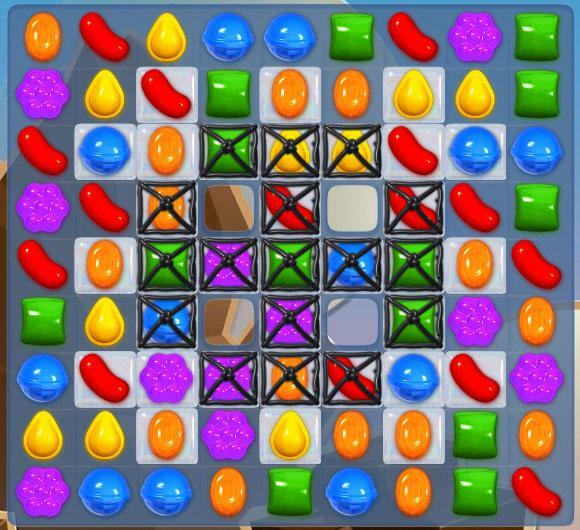 This is exactly when Candy Crush Saga proves why it has earned and deserved the title of being one of the most popular and also sometimes frustrating match-3 puzzle games of its kind! The first level type that you would encounter is the moves level. This is the easiest level of them all. You are only required to hit the minimum score with the limited moves given in order to move on to the next level. However, once you get to level 6, you will encounter your first jelly level. 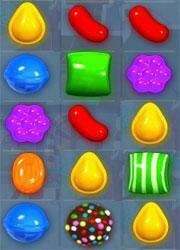 In this level, you will need to clear all the jellies to proceed. The catch here is that you are only given a certain amount of moves, so clearing jellies may not seem like such as easy task after all, especially when there are multiple layers of jellies. 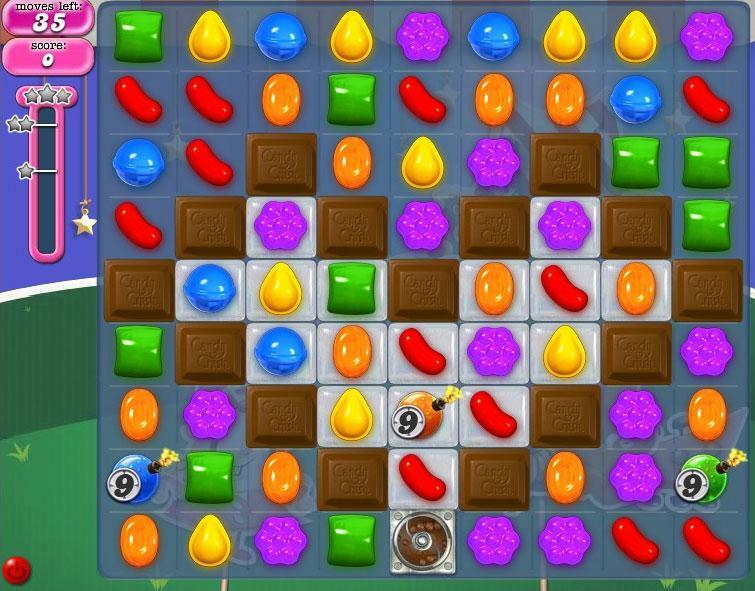 The next level type that you will meet in Candy Crush Saga is the ingredients level. 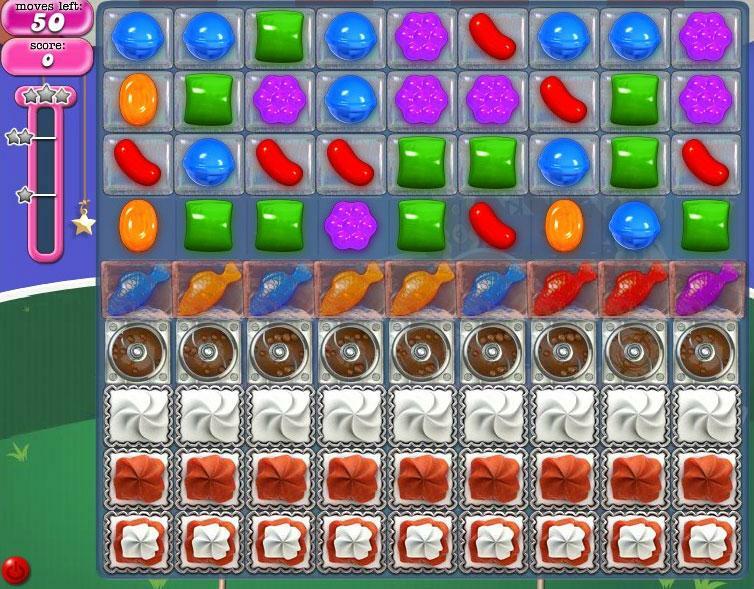 Your objective in this level is to collect all the ingredients needed by clearing the candies below them so that the ingredients can reach the bottom of the board. Again, with limited moves, this can be quite a tall order! There is also a timed level in Candy Crush Saga it’s time to polish up your quick clicking reflexes! These levels mimic Bejeweled Blitz in some way you are given a certain amount of time to hit the minimum score to win. With continuous combos, you can easily get past these levels without as much as a drop of sweat. 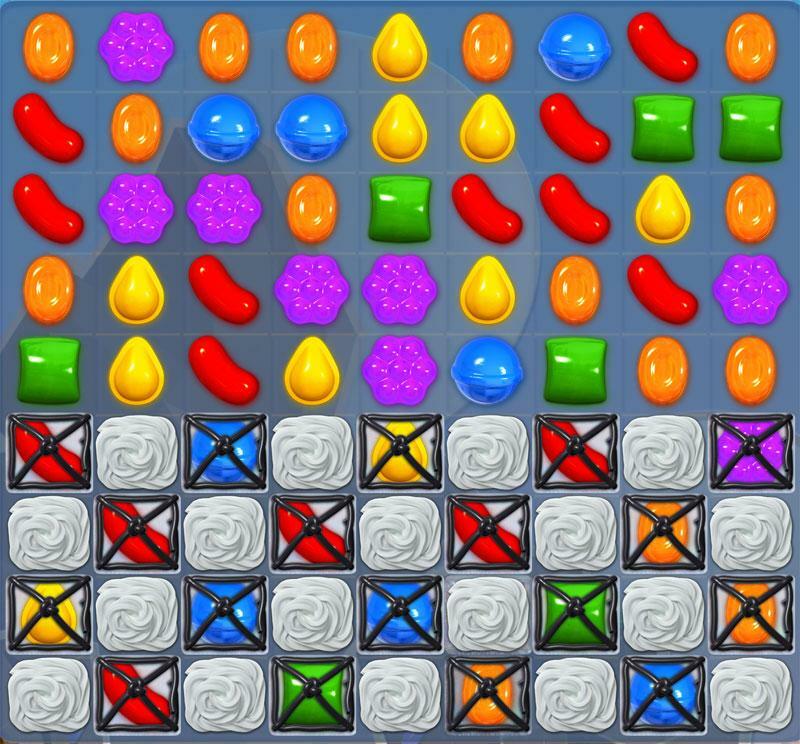 The last level type is the candy order level and it only appears when a player reaches level 126. These level types will require the players to gather certain types of candy with limited number of moves. Sometimes, you will need to do this while making the required number of combinations as well, making this level type one of the hardest level type there is! However, the great thing about these sorts of games is that whenever you managed to beat a particularly difficult level, the smug satisfaction that you get is absolutely sweet! In addition, to the various level types, there are several types of blockers in this game as well. You will need to remove these blockers before you can access the candy underneath. One of the earliest blockers that you’ll meet is regular icing. However, as you progress in the game, more types of blockers will be made known to you, such as chocolate, which multiplies if it’s not broken in a move, and candy bombs, which explodes if not removed before their timers run out. All these blockers made the game much more difficult and challenging. But, hey, the tougher the challenge, the sweeter the victory, right? If you need any help with any of the levels, you could always use the free boosters, such as lollipop hammer, colour bomb and jelly fish that are given to you. Ran out of free boosters? Well, by spending a small fraction of your money, you can get some cool deals at the Yeti Shop! 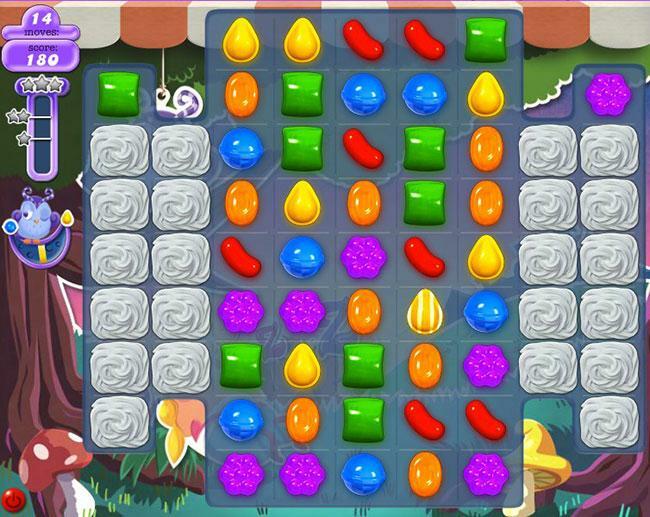 If you somehow managed to beat the game with plenty of moves to spare, the game will activate Sugar Crush whereby the game will automatically use up all your striped and wrapped candies as well as send a group of jelly fishes to eat up some of the candies for you. In other words, you end up with even more points! Every little extra point is very valuable as Candy Crush Saga pits your score against the scores of all your friends for every level. You wouldn’t want to lose out to your friend on the leaderboard! In Candy Crush Saga, each player is provided with a maximum of 5 lives. These lives will be lost whenever you failed in any of the stages, but they will regenerate over time. For people who can’t wait, you can also get more lives by either spending real money or by asking your many Facebook friends for help. You will also need your friends’ help when unlocking new chapters in Candy Crush Saga. In brief, the game provides a fun yet mind-sharpening puzzles that will certainly keep you hooked for more! 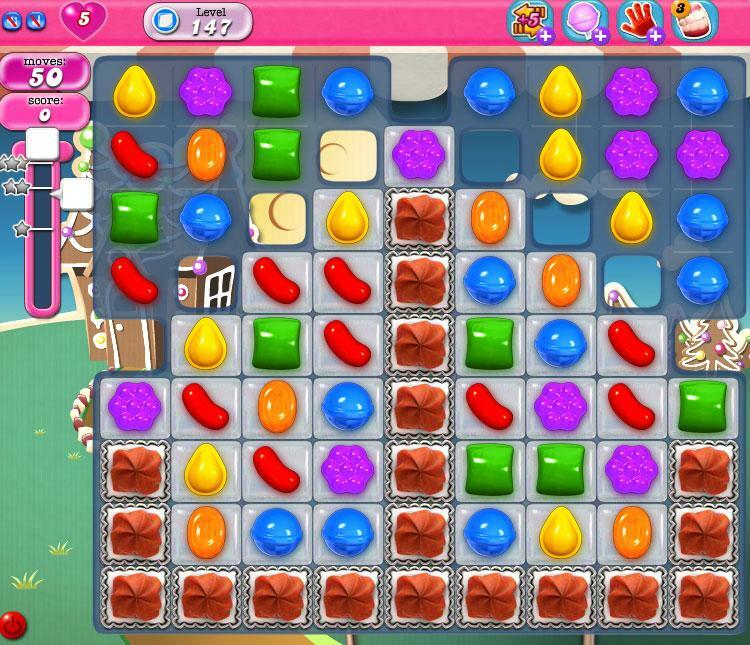 Candy Crush Saga may perhaps have the largest player base in casual gaming history – a whopping 74 million candy crushers! Best of all, these players formed a well-knitted community, who help each other out by giving much-needed advice and guidance. So, if you’re a newbie and are in need of some assistance, there will be plenty of more experienced players who would be glad to lend you a hand. 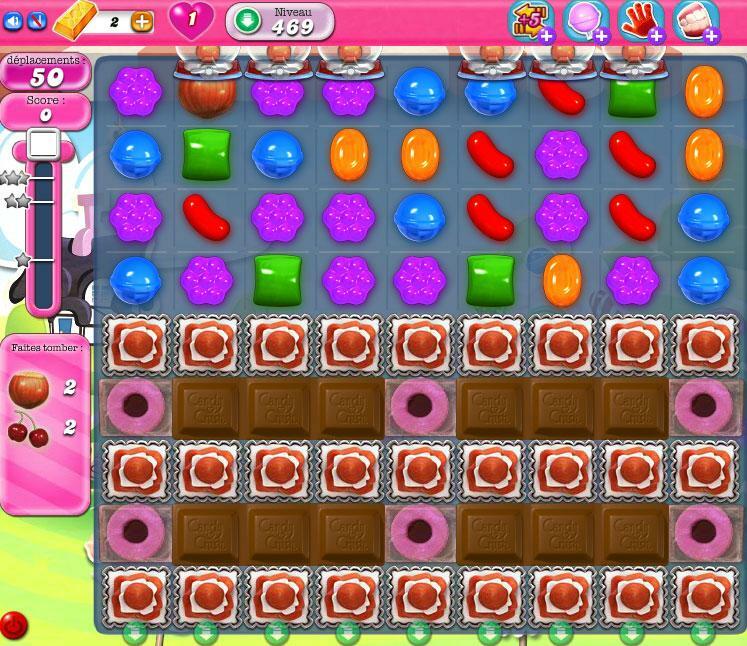 Candy Crush Saga is designed to have the word ‘fun’ in mind, and this includes its graphics and sound. The cute cartoony puppet characters in the storyline fit perfectly with the game’s theme of a candy-filled wonderland. 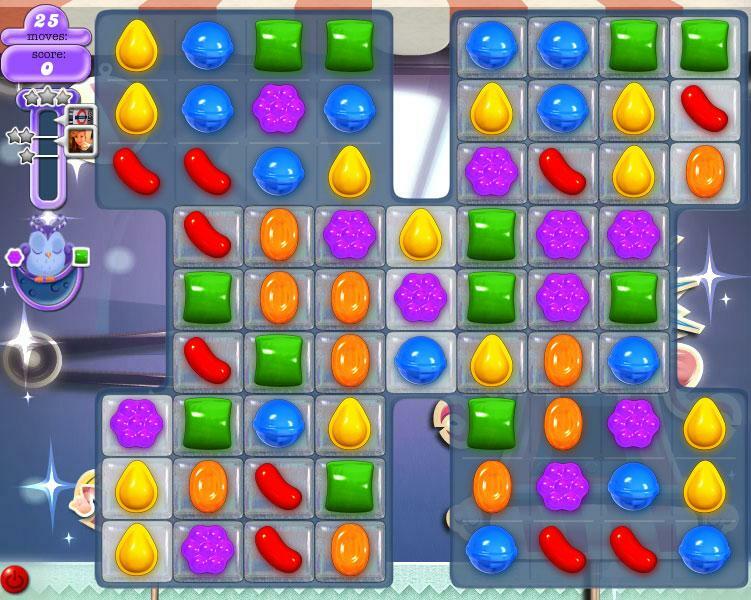 The bright and cheerful colours of the candies also bring out the fun in this game. Furthermore, the quirky background music that Candy Crush Saga has will definitely lift anyone’s mood. In fact, the music may bring to mind an exciting trip to the circus and circuses are a whole lot of fun! 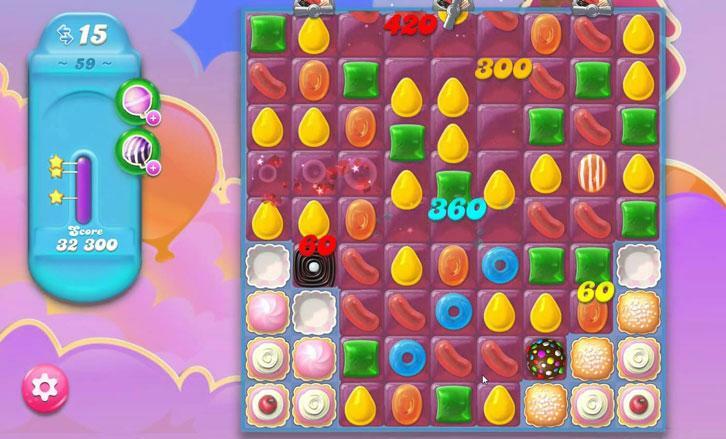 Candy Crush Saga is a great match-3 puzzle game that is leading the way in bringing match-3 games back into popularity. It has a lot of varieties of special candies, blockers and level types that keep the gameplay fresh and exciting. Although it is not fast-paced (except during timed levels) like Bejeweled Blitz, the game focuses more on strategy instead! It’s all about managing the limited moves that you get in order to achieve the required objective/s. This is exactly the sort of sweet casual game that can give you that sugar rush you need after a long day of school or work. Candy Crush Jelly Saga is Now Available on Facebook! This one time I woke up to a SMS from my mom asking for my Facebook password. after a short $%^ moment, I called her with slight hysteria asking why she wants it. Like everyone else in the world, I played Candy Crush saga for a while. I reached all the way up to level 100, which was my goal, and then deleted the game.